The ancient hunting spear has all its parts — a wooden shaft, stone tip, sinew and feathers. At first, Jennifer Herkes didn't realize what had been found — she thought it was a piece of an atlatl dart. "I thought, 'Oh yeah, that's neat,'" she recalled. Then she saw it wasn't just a piece — it was the whole spear. "My heart rate started increasing, and I got goose bumps all over. I'd never seen anything like that before, it was amazing," said Herkes, who is the heritage manager for the Carcross/Tagish First Nation in Yukon. 'I'd never seen anything like that before,' said Herkes. "The feathers, the sinew, the sap they would have used as, like, a glue to attach the stone point to the wood shaft — all of it is completely intact." Herkes believes it's the first full atatl spear ever found in Yukon. It's believed to be at least 1,000 years old. 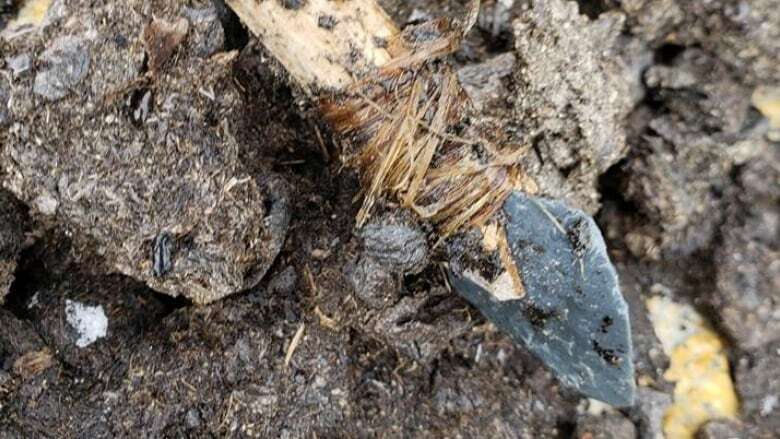 The ancient hunting tool is just the latest remarkable find from an area that's now renowned for remarkable archeological finds — the Yukon ice patches, near Carcross. The area has been nominated as a potential UNESCO world heritage site. Over millennia, woodland caribou would gather on the ice patches during the summer months. It was therefore an important area for Indigenous hunters, who sometimes left their tools behind. Many of those tools — frozen for centuries under ice and snow — are now being uncovered as the ice patches melt due to climate change. 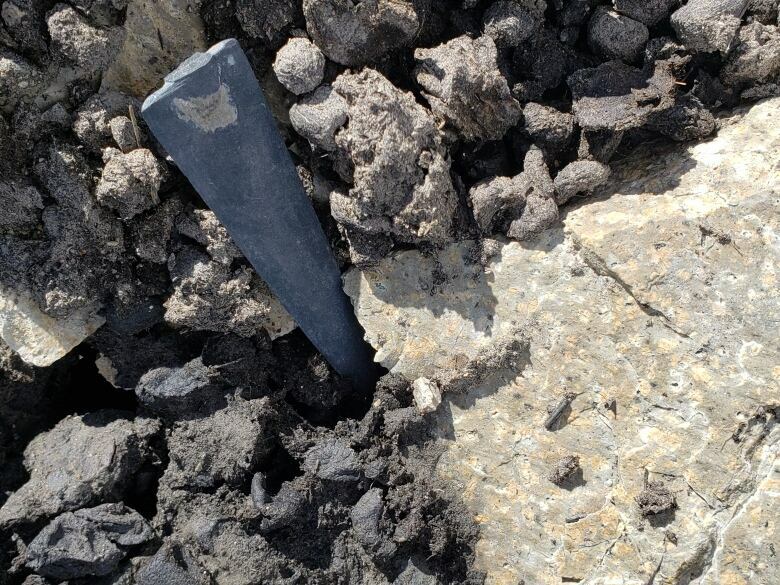 A few weeks before the spear was found, archeologists made another discovery in the ice patches — a ground-stone point. Herkes said it's notable because chipped-stone tools were more common in Yukon. 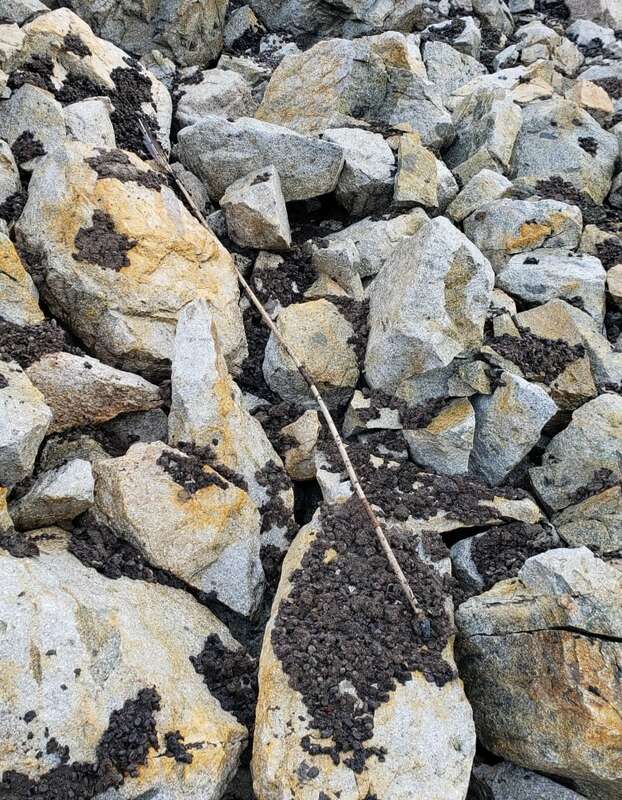 The atlatl dart was found a little over a week ago by a helicopter pilot who had flown some researchers to the ice patches. "We all got out of the helicopter and we each went our own separate ways, and within a few seconds he shouted out to come take a look," said Herkes. "[Lying] at the base of the ice patch was this fully intact, long, five-foot-or-more spear." It's a major find because all the components are there. Researchers can study the materials to learn more about the resources used by Indigenous people at that time. It also has non-scientific value, Herkes says. "When you have a full complete spear like that, it really allows people to connect with their heritage and what their ancestors were doing on the land, thousands of years ago," she said. "Everybody gets really excited. I don't know how many times I've had to pull my phone out to show pictures to different people. It's a pretty great way to bring the community together." The spear is now in cold storage. Herkes said the First Nation and Yukon's heritage branch will look at how to best preserve it over the long term. "We'll do our best to keep it as fully intact as possible, because I think that's where the true value lies — in being able to have that fully intact piece of history," she said. An earlier version of this story referred to the found object as an atlatl. In fact, it is an atlatl dart, or spear.